State Street continues to strengthen its operations with new senior hires, this time bringing in David Ullrich. 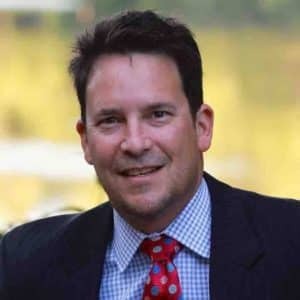 He will be rejoining the group to work as its Head of Sales in North America for its execution venue, FX Connect. The addition of Mr. Ullrich constitutes follows after an earlier tranche of appointments back in October 2017. Back in October, State Street made a series of hires and promotions for Currenex and FX Connect. This included the installment of James Reilly Global Head of Currenex as well as Beverley Doherty as the Global Head of FX Connect. Just a few months later, FX Connect has continued its bid to secure top personnel in the FX space, on-boarding veteran Mr. Ullrich. The appointment marks a return to State Street after a ten year stop between 2000-2010. In his new role as the Head of Sales in North America for FX Connect, he will be reporting to James Norcott, the group’s Global Head of Buy-side Sales. He steps into the role with immediate effect, and will immediately begin overseeing FX Connect’s sales in the region. FX Connect reflects one of State Streets most important FX execution venues with a firm North American presence. This includes offices in both Boston and Toronto, along with additional footprints in Europe and the APAC region. He will be based out State Street’s Boston office. Mr. Ullrich is no stranger to the FX industry, having been working in the space since 1987. Most recently, he worked at FlexTrade for nearly three-year as its Senior Vice President of Execution Strategies. Previously, his decorated career includes stops at Morgan Stanley as an Executive Director for five years, focusing on its FX unit. His initial stint at State Street lasted a decade, which saw him working as its Vice President and Head of US Institutional FX Sales. Additional roles also include stops at Bank of America as its VP of FX Trading, Sanwa Bank as a Senior FX Trader, Julius Baer, and Credit Suisse, according to information made public on his Linkedin profile.